Black T-Shirt featuring guitars on front. 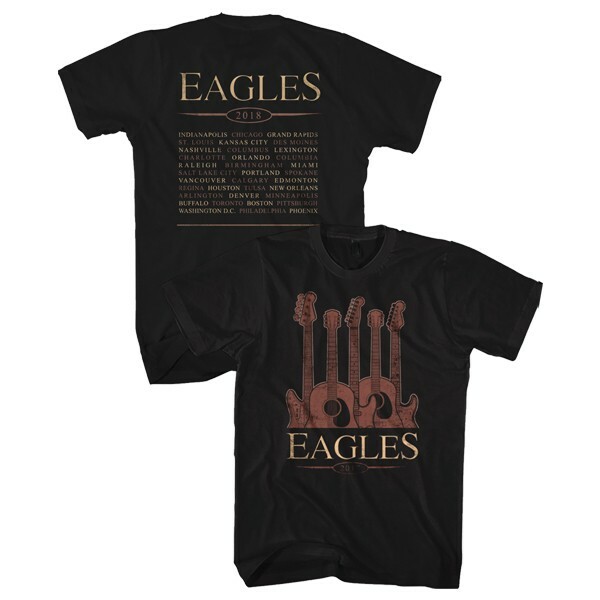 The back of the T-shirt features 2018 tour dates. Printed on Gildan 100% preshrunk cotton. *Cities on back may vary.